Late last month, George Strait released his 30th studio album, his first collection of all-new music in four years. The record, entitled Honky Tonk Time Machine, is a thirteen-track set co-produced by Strait and Chuck Ainlay. Strait wrote six of the album’s tracks along with his most frequent co-writers — his son Bubba and Dean Dillion. The strongest of the songs is the affecting ballad “The Weight of the Badge,” a beautiful tribute to our everyday law enforcement officers. Also excellent is lead single “Every Little Honky Tonk Bar,” which Occasional Hope reviewed last month. The trio’s remaining co-writes are very good. “Blue Water” is about longing for escapism from our modern world. He sings about a “Sometimes Love” he can’t seem to forget and shows his woman he’ll always be there on “Take Me Away.” The outlier is “Código,” which serves as little more than a commercial for a brand of tequila Strait has an investment in. “What Goes Up,” a nice spiritual ballad about leaning on God, was co-written by father and son and Jeff Hyde. They branched out even further, bringing in Willie Nelson and Buddy Cannon for “Sing One with Willie,” a duet with Nelson. The track is pure honky-tonk and while the melody is delightful, the lyric boards on cutesy. The remaining tracks were penned by outside writers. The spiritual “God and Country Music,” which laments about the only things worth saving, was co-written by Luke Laird, Barry Dean, and Lori McKenna. “Two More Wishes” reunites him with Jim Lauderdale. The results are just as you would expect. The final track is a fine cover of Johnny Paycheck’s “Old Violin,” on which you can hear off of Strait’s life experience coming out in his vocal. Honky Tonk Time Machine is a fine addition to Strait’s catalog. It’s refreshing to hear his voice and perspective again. The newest acquisition to Nashville’s storied Columbia label, which rebranded as Columbia Nashville in 2007 after it was purchased by Sony Music, is Tenille Townes, a 24-year-old country singer hailing from Grande Prairie, Alberta, Canada. Over the summer, I had the honor of attending a private concert by Townes atop a prestigious vineyard in Napa Valley, CA. She was the featured entertainment for night one of a two-night wine auction I’ve been fortunate to attend for the past three years. She sang acoustic, with just a guitar, giving the audience a perfect sense of both her voice and her personality. Townes co-wrote the song with Barry Dean and Luke Laird, two of the better songwriters in Nashville at the moment. Laird is not without his critics, but he has won Lori McKenna’s seal-of-approval, and the songs they’ve collaborated on together have been fantastic. He’s also turned in above-average work with both Eric Church and Miranda Lambert. Dean has also worked with McKenna, penning some great songs. I really like the story, especially the way the three of them crafted it, with utmost sincerity. The lyric cleverly jumps out at the listener, with nice turns-of-phrase, and the melody commands attention. “Somebody’s Daughter” is It’s hardly revelatory or destined to become a classic, but it is a great modern mainstream country record. It’s a cut above typical and actually has something to say. Problem is, for the most part, the listener cannot extract any of that. “Somebody’s Daughter” was put through the Nashville machine in order to maximize its chances at airplay. Jay Joyce’s production drowns the song in unnecessary noise that hinders Townes’ ability to showcase her voice, or the lyric, properly. I can’t fault Columbia Nashville for concentrating on their bottom line, as that’s all label executives care about anyways, but they’re doing Townes a disservice here. I don’t dislike Joyce when he’s working with Church, but he almost always fails every other artist he produces. They, more often than not, deserve better than his best inclinations. “Somebody’s Daughter,” in this state, is a missed opportunity. Townes has talent, and a great voice, but you’d hardly know it since it isn’t being properly showcased here. Joyce has produced a record that is too loud and too processed. It’s too bad. It’s no secret that two of the most influential artists that have shaped my understanding and love of country music is Faith Hill and Tim McGraw. Their love story was the first celebrity love story I bought into as a kid and the one that has lasted the longest. Hill, especially, remains one of my favorite artists. Count me among those who found it puzzling that McGraw would exit Big Machine to be a little fish in a big pond at Sony Nashville. His artistic credibility had reached new heights in 2016 and he was back in the Male Vocalist of the Year race at the CMA Awards. You do have to commend him for giving that up to help re-launch Hill into the mainstream. His heart was definitely in the right place. But the first taste of new music from the pair, the Adult Contemporary “Speak To A Girl” was not. The ballad may have shot to #19, but it exposed Hill’s newly-acquired rasp in her lower register. Her inability to hold onto notes in her lower register was painful to hear and distracted by the message of the song, which wasn’t all that thought out anyways. The pair debuted two of the tracks on their tour last summer. “Break First,” is a mid-paced ballad of temptation (dominated by an electronic drum loop) in which a couple is eying each other from across the room. “Telluride,” is a funky up-tempo change of pace, and while it shares a name with a track from Set This Circus Down, it is most definitely a different song. The majority of the album is dominated by songs that just aren’t that great or worth adding to your collection. “Devil Callin’ Me Back” strips them of their individually and highlights everything that’s wrong with modern commercially-focused music. “Roll The Dice” is an electronic mess while “Love Me To Lie,” in which Hill sings lead throughout, is at least okay. “Sleeping In The Stars” lets the pair’s harmonies shine through. “Cowboy Lullaby” is a somewhat well-written song and a good vehicle for McGraw, but I can’t help but think it would’ve sounded a lot stronger with a far less watered down arrangement. The final two tracks were co-written by Lori McKenna and I cannot help but hold them to a higher standard. She reunited with The Love Junkies on “The Bed We Made,” which actually has bones, but likely would’ve been more appropriate for someone younger and not a couple who has been married for twenty-one years. “Damn Good At Holdin’ On,” which McKenna wrote with Barry Dean, is the album’s strongest track by a mile. I don’t like the chorus that much, but this is the closest Hill and McGraw come to rekindling the magic of their previous duets. The lack of that magical spark found on “It’s Your Love” or “Let’s Make Love” is truly what sinks The Rest of Our Life. Hill and McGraw are far better than most of the material they pulled together for this album. They don’t need to craft an entire album of love songs – we all get it by now. If they had diversified, with another “Angry All The Time,” or at least put effort into finding even a couple artistic moments to sprinkle amongst the radio fodder than all might not have been lost. But as it stands, The Rest of Our Lives is beneath both of them. They’ve more than proven they can do a heck of a lot better than they do here. Whenever I listen to a new single from LeAnn Rimes I’m left pondering how she’s figured out what no other mainstream female seems to understand. The art of song selection isn’t about finding singles for today as much as it is selecting material built to last. With “How To Kiss A Boy,” Rimes has chosen one such song. Rimes’ devastation is brilliantly conveyed in her tender reading of McKenna’s pitch-perfect story. Her voice has never sounded more nuanced nor has been given quite this masterful a showcase to put it on display. The production, while stunningly simplistic, is heavy-handed and could’ve used a bit more texture to add flavor. But even without minor adjustments towards the country genre, “How To Kiss A Boy” is a classic record, through and through. Clay’s first album in three years was released in 2010. It was mainly produced by Keith Stegall, with Doug Johnson taking the helm for a few tracks, but neither man shows his usual light hand. The first single, the title track, was the album’s only big hit, peaking at #4. It’s a good song about a woman who “wants to hold a stranger, but not the one at home”, who has done her wrong. Clay sings it strongly, if lacking nuance. ‘Where Do I Go From You’ was a minor hit, making the top 30. A mid-tempo tune about getting over an ex, it is well written but Walker’s vocal lacks real emotional conviction and towards the end he oversings. ‘Like We Never Said Goodbye’ didn’t make the top 40, but offers a more subtle vocal on a fine song about a meeting with an ex and the complicated emotions it produces. The final single, Western themed ‘Jesse James’ opens with a bluegrass feel and an impressive wailing vocal , but soon deteriorates into a horrible over produced mess. It was a deserved flop. Clay contributed four co-writes, three of them with old friend Jason Greene. ‘Double Shot Of John Wayne’ is the best of these (and infinitely better than the similarly themed ‘Jesse James’), a very traditional country tribute to old western movie heroes. I really liked this. The pair’s other songs are ‘All American’, a very bland patriotic number which was used as a campaign theme tune by one of the unsuccessful candidates for the Republican presidential nomination in 2012; and ‘Summertime Song’, a rather boring song about a working man dreaming of beach time, which might work better if it contrasted the two worlds more consistently through the song, but does have some nice fiddle. Clay wrote ‘Wrong Enough To Know’ with Kim Williams and Doug Johnson. It is an unremarkable but adequate mid-tempo love song given a poppy production. ‘People In Planes’, written by Barry Dean and Luke Laird, is an observational song about fellow travellers spotted on a flight, spoiled by very intrusive electronic effects and autotuning. ‘Keep Me From Loving You’ reminiscences about a high school romance which lasts, despite the disapproving parents. The song is okay, but it is heavily over produced. Randy Owen harmonises on the Alabama hit ‘Feels So Right’, which is well sung but not a favourite of mine, and is given a very AC production with heavy use of strings. ‘Seven Sundays’ is very pretty sounding, and is an affectionate tribute to church attendance. Overall this is a record which doesn’t seem to know how to position itself. 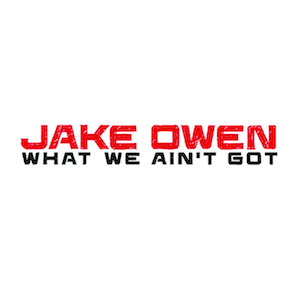 There are some decent songs mixed in with more mediocre fare, and blatant attempts at getting radio play set against some real country sensibility. The Bird & The Rifle comes on the heels of Lori McKenna finally achieving the level of songwriting success she’s so richly deserved since Faith Hill plucked her from obscurity in 2005. This record, her tenth, positions her at the next level – the masterful Dave Cobb produced it. She’ll likely always be known more for songwriting cuts by other artists, which is a shame, since she’s a powerful artist in her own right. I’ll always be a bit biased, as McKenna is a local in my neck of the woods here in Massachusetts. McKenna smartly included her own version of “Humble & Kind” among these ten tracks, which will hopefully draw some attention to the album. Given her local status I first heard the song when Little Big Town invited her on stage at the South Shore Music Circus in 2014. She also sang on Almost Famous, the local music show on my radio station 95.9 WATD-FM, long before Tim McGraw released it on Damn Country Music. Her version of “Humble & Kind,” which she wrote to impart wisdom to her children, is gorgeous and far more homespun than the one McGraw brought to #1. McKenna also solely wrote a number of the album’s tracks. “We Were Cool” is nostalgia at its finest, reliving in brilliant detail, carefree times with great friends. Pessimism grips “Giving Up On Your Hometown,” a critical view of change in the place you grew up. “If Whiskey Were A Woman” is the perfect bookend to “Wreck You,” a darker take on a concept conceived by Highway 101 twenty-nine years ago. McKenna imagines, through a killer vocal, how much more sinister the bottle would be as a relationship partner than her, for her husband. The Love Junkies, masterminds behind “Girl Crush,” reunite for a couple of tracks on The Bird & The Rifle. “Always Want You,” a lush waltz, deals with sameness and the idea that no matter what happens in this world, she’ll always want her man. Mid-tempo rocker “All These Things” was co-written by two-thirds of the trio (McKenna & Liz Rose) and while I love the melody, it offers little lyrically beyond a laundry list of different signifiers. The morning after never sounded so beautifully regretful as it does on “Halfway Home,” a co-write with Barry Dean and easily one of the album’s strongest tracks. “Old Men Young Women” is brilliant commentary on the phenomenon of third wives that are often years their husband’s junior. A Modern Family rerun, in which Claire and Hailey in which the pair consider companion tattoos, inspired the title track. 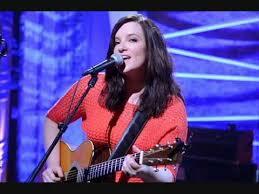 McKenna co-wrote the lovely ballad with Caitlyn Smith and Troy Verges. The most apparent takeaway from The Bird & The Rifle is how little McKenna has changed in the face of momentous success. She clearly has a solid sense of self, which undoubtedly continues to serve her well. While the album does feature songs stronger than others, it’s still one of the year’s top releases and not to be missed. McKenna’s pen and Cobb’s production make for a fruitful marriage I hope continues in the years to come. 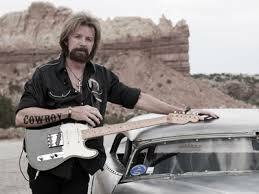 Since parting ways with Kix Brooks in 2010, Ronnie Dunn has struggled to remain commercially relevant in an era when veteran artists are under-appreciated. 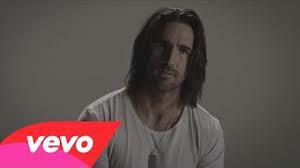 After one solid solo album, he also cut ties with his longtime label Arista Nashville and started his own label. To say that his first two self-released singles, “Country This” and “Kiss You There” were disappointments would an understatement on a massive scale. But just when I was about to write Dunn off, he has redeemed himself nicely with his latest effort “I Wish I Still Smoked Cigarettes”, a tune penned by Lori McKenna, Luke Laird, and Barry Dean. Though the title suggests that Dunn is tempted to resume a long-conquered vice, he is actually waxing nostalgic for lost innocence and a time when life was less complicated. The lyrics evoke images of fast cars, carefree youth and dreams going up in smoke. Unlike Dunn’s previous two efforts, the production is tasteful; the electric guitar is the track’s dominant instrument, but it is not intrusive or overly loud, and it is accompanied by some gentle, understated pedal steel. It is a lyrical masterpiece, that sounds like something Brooks & Dunn might have done in their heyday. Unlike some of his contemporaries, Dunn’s voice is showing no signs of deterioration. From a creative standpoint, Dunn seems to have found his niche; whether country radio is willing to embrace an independent record with politically incorrect references to smoking from a 60-year-old artist remains to be seen. I suspect it will be an uphill climb, but at this stage of his career, Dunn no longer needs to prove himself commercially. I hope that his upcoming album will contain more music like this song and less of the “Country This” and “Kiss You There” type. Great songs seem to be rarer than hens’ teeth these days, so when one comes along, it is the duty of fans to support it. I strongly encourage everyone to visit iTunes and download this very worthwhile recording. You’d think the combination of irresistible four-part harmonies and a keen sense of song would be the makings of country music royalty, but Little Big Town has had more starts and halts in the past ten years than just about any mainstream act. They more than won the respect of the industry, but never quite caught on with the fans or country radio. Their fifth album, a deliberate attempt to reverse those fortunes, is the group’s first to utilize producer-of-the-moment Jay Joyce, a smart decision that presents the quartet in a new and exciting light. Thanks to a stellar collection of songs tastefully sang and framed, Tornado blows recent releases by Dierks Bentley, Carrie Underwood, and Zac Brown Band out of the water and is easily the best mainstream country album since Eric Church’s Chief (also helmed by Joyce) came out a year ago. Tornado works because it tampers with their core formula without sacrificing the qualities that have endeared them to the country audience for the past ten years. Platinum selling lead single “Pontoon,” a Luke Laird, Natalie Hemby, Barry Dean co-write about summertime fun on the water got them off on the right foot, and recently became their first number one hit. Anchored by Karen Fairchild’s commanding lead vocal and a slinky ear-catching beat, the song works because it isn’t a mid-life ploy at reclaiming adolescence, but rather three minutes of harmless fun aboard a boat. The second verse should’ve been developed more fully, but it works really well as a concept, and the arrangement is one of my favorites of any single this year. Tornado matches the exuberance of “Pontoon”, but in most cases exceeds it. I’m really enjoying the album’s opening four tracks, each one a showcase for a different member of the group. Jimi Westbrook takes the lead on “Pavement Ends,” Fairchild on “Pontoon,” Kimberly Schlapman on “Sober” and Phillip Sweet on “Front Porch Thing.” Westbrook, the thinnest vocally of the group, is adequate on “Pavement Ends,” Jason Saenz and Brent Cobb’s rollicking ode to dirt road partying, one of the more exciting songs on the subject matter. His male counterpart, Sweet (one of my favorite male vocalists in contemporary country), is excellent on “Front Porch Thing,” a wonderful banjo-led song about kicking back on a front porch with an old guitar and a song to sing. But Schlapman is a revelation on the beautiful “Sober,” easily the album’s standout number. Written by Liz Rose, Hillary Lindsey, and Lori McKenna, the mandolin centric track is a sweet ballad about being drunk on love. I thoroughly enjoy how producer Joyce masterfully stands back and uses a less is more approach, allowing the gorgeous four-part harmonies, and stunning chorus, to steal the show. Other album highlights include the first-rate title song and second single, a sinister Bobbie Gentry-like ballad about a woman seeking vengeance on her cheating boyfriend. Written by Hemby and Delta Maid, and effectively sung by Fairchild, the track blows away Underwood’s latest (which tackles a similar theme) and works thanks to the tasteful spooky guitars and moody vibe. I also love the Westbrook fronted “Leavin’ In Your Eyes,” which is turned into a 1970s inspired soft rock opus, complete with a simple driving beat. The use of Fairchild and Schlapman on harmony vocals was a brilliant decision, as it helps to make the song more interesting than if the foursome sang together. Not all the tracks work, however. Sung as a duet by husband and wife Westbrook and Fairchild, “Your Side of the Bed” is a rip-off of Gretchen Wilson’s “The Bed,” down to the story of a failing marriage under the microscope in the bedroom. I’m having a difficult time believing the couple’s pain and the use of harmonies in the chorus. A better decision would’ve been to have Westbrook or Fairchild sing it solo, as the harmonies dilute the song’s emotional heft. I love the idea of the track as a duet, but it plain doesn’t work for a four-part group. “On Fire Tonight” is an attempt at amped-up rock that’s well-presented and sung, and should work wonderfully in a live setting. But on record the Laird co-write with band comes off as underwhelming and a bit subpar for the group that has proven (even on this album) they can do a lot better. I’m also having trouble getting into “Self Made,” which probably has a nice message, but is overtaken by a disastrously cluttered production that’s so bombastic its hard to hear what the group is singing. Joyce, who should’ve kept with the rest of the album and continued with the less is more approach, failed Hemby and Jedd Hughes’s co-write with Westbrook and Fairchild. All and all, Tornado is an excellent mainstream country album and the strongest so far this year, bar none. I’m finding it impossible to drum up excitement for mainstream country these days but Little Big Town has managed to do that for me. I was so afraid they were on the path to compromising themselves at the price of commercial viability, but thankfully I was wrong. Tornado isn’t a masterwork like Kathy Mattea’s Calling Me Home, but I’m confident in saying it stands next to the likes of Sugarland’s Love On The Inside, Miranda Lambert’s Revolution, and Trisha Yearwood’s Heaven, Heartache, and the Power of Love as some of the best mainstream fare released in the past five years. For some years, former American idol contestant Kellie Pickler has been saying encouraging things about her interpretation of country music, but not backing them up with her music, with her first two albums being somewhat over-produced pop-country efforts with average material and processed vocals. At last she has come through with something really worth hearing. She has obviously worked on her singing as well, and makes the most of a voice which is nice enough but not outstanding. Frank Liddell and Luke Wooten support her vocals infinitely better than her previous producers. There is a lot of variety in tempos and styles here, ranging from very traditional to more contemporary but recognisably country. The voice and artistry of one of my favourite current songwriters, Leslie Satcher, underpin the vision of this record. She wrote or co-wrote five of the eleven tracks, including the first two singles, and anyone familiar with her own excellent records will recognise the style here. Underperforming lead single ‘Tough’, written especially for Kellie, about a rough-edged girl, has an energetic beat and I would have expected it to do better than a #30 peak, which is an ominous sign for the commercial prospects of this project, but despite its pedigree it is one of the less stellar songs. The title track and current single ‘100 Proof’ is a tender love ballad with a pretty tune, written by Satcher with James T Slater. The protagonist compares her own experience of true happiness with those she sees in a bad relationship. The best of Satcher’s compositions here is ‘Where’s Tammy Wynette’ which opens the set. It is an excellent, pure country song, written by Satcher with Jimmy Ritchey and Don Poythress, from the point of view of the lonely wife of a man “torn between neon lights and home”, and searching for wisdom in Tammy’s music. On this track in particular Kellie’s vocal inflections are highly reminiscent of writer Leslie Satcher’s stylings. Leslie co-wrote a couple of the songs with Kellie. The rhythmic banjo-led ‘Unlock That Honky Tonk’ is pretty good, and sung with aggressive attack once more reminiscent of Satcher, with ex-SteelDriver Chris Stapleton’s backing vocals evident. However, the ballad ‘Turn On The Radio And Dance’, while not unpleasant, is forgettable filler. Kellie also had the opportunity to co-write with Dean Dillon (another of my favourite writers) and Dale Dodson; this threeway partnership produced a bruised reflection on the end of a love affair , where she says she’ll be alright ‘Long As I Never See You Again’. This is a fine, downbeat song which grows on repeat listening. They also worked together on the therapeutic In ‘The Letter (To Daddy)’, an incredibly personal open letter to Kellie’s father, whose addiction-fueled crimes led him to spend most of his daughter’s childhood in prison, but, according to this song, has found sobriety. This is rather touching and definitely a highlight. She has addressed her difficult family background before, with her early single ‘I Wonder’, addressed to the mother who, unable to cope, abandoned her to the care of her grandparents, and those emotions are revisited here. ‘Mother’s Day’, written by Kellie with her husband, Kyle Jacobs, is gentle and rueful as she broods on the absence of her mother from her childhood, and speculates about becoming a mother herself. To be perfectly honest, although this is a more mature reflection, delivered with a delicate vulnerability which shows the pain of that early abandonment has still not left Kellie, the song is not as emotionally immediate as the emotionally rawer ‘I Wonder’ on her debut album. She also contemplates babies in the not-too-distant future in ‘Rockaway (The Rockin’ Chair Song)’, a pleasant and more contemporary sounding song about domestic happiness which she wrote with Brent Cobb and Barry Dean, and which one assumes is addressed to Jacobs. It’s quite a slight song, but is soothing and attractively melodic. This would have been a smash hit in the 70s. Today’s country radio wouldn’t touch it, which is a sad indictment. I also enjoyed the upbeat ‘Little House On The Highway’, written by Rodney Clawson and Natalie Hemby, about the traveling life. Overall, this was a surprisingly enjoyable release from an artist for whom my expectations were limited. I hope it does well for her. Even at the height of his stardom, it was widely acknowledged that “Whispering” Bill Anderson wasn’t much of a singer. But he was, and remains, an excellent country songwriter, who continues to get cuts by some of today’s biggest stars. He has just recorded a dozen of his latest songs on an independently released record, co-produced with multi-instrumentalist Rex Paul Schnelle, who plays electric and acoustic guitars, mandolin, banjo, piano, and keyboards and sings backing vocals – basically every instrument but drums, bass and steel. The songs are all co-writes, and I was struck by the generosity with which Bill puts his own name last in the credits each time. His vocals are no stronger than one might expect, but on most of these songs it doesn’t matter. Half the songs are comedic, and do not demand great singing; in some of the others the limitations of his voice is put to good use. Also laugh-out-loud funny is the episodic ‘That’s When The Fight Broke Out’ which recounts a hapless husband’s many ill-judged remarks in a series of one-liners. A sense of humor is not necessarily conducive to a happy marriage. Written with Jamey Johnson and Buddy Cannon, this entertaining song could easily be a hit single for someone like Brad Paisley. This is one of the songs where the vocal limitations are a problem, making the song sound sleazy.